Offering a large seleciton of wakesurf rentals and lessons at Lake Powell, and all other locations in Utah, Nevada, Arizona, and California. We have several sizes of wakesurf boards to rent that will accommodate all level riders. The shorter the board the more difficult to catch the wave behind the boat; but once you know how to wakesurf a shorter board will allow you to enhance your tricks; having a shorter board is easier to do most tricks on. For beginners it is much easier to have a long wakesurf board to ride on giving more surface area for the wake of the boat to push. 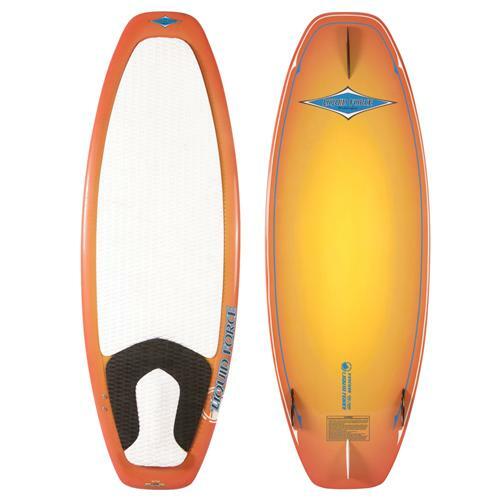 We carry some models of Hyperlite, Slingshot and Liquid Force wakesurfer rentals.